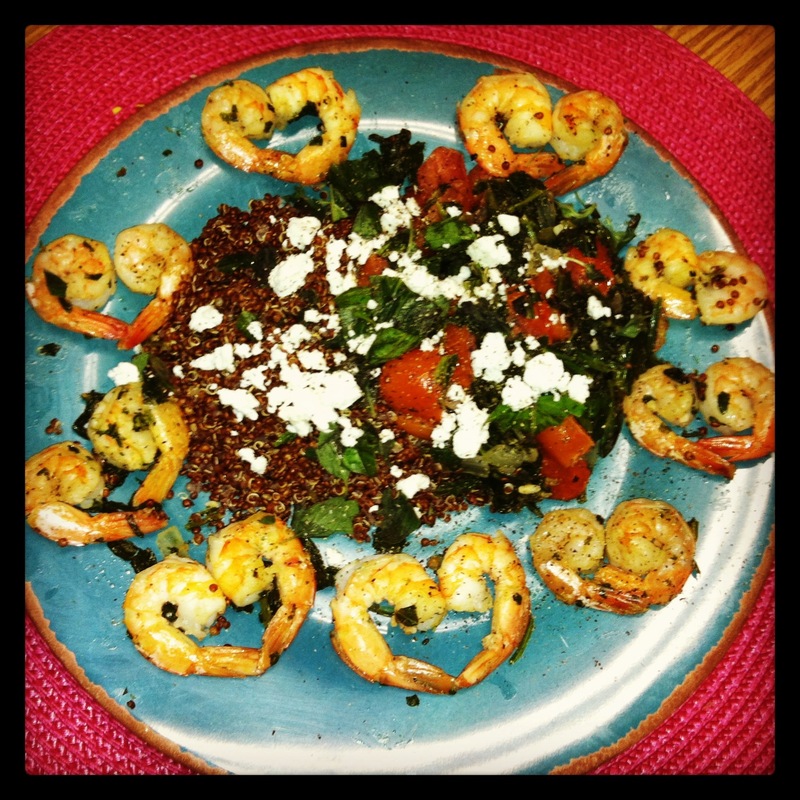 And yet another post on some of the deliciousness from this past week! I’ve included all recipes and pictures as well! Enjoy and let me know what you think! 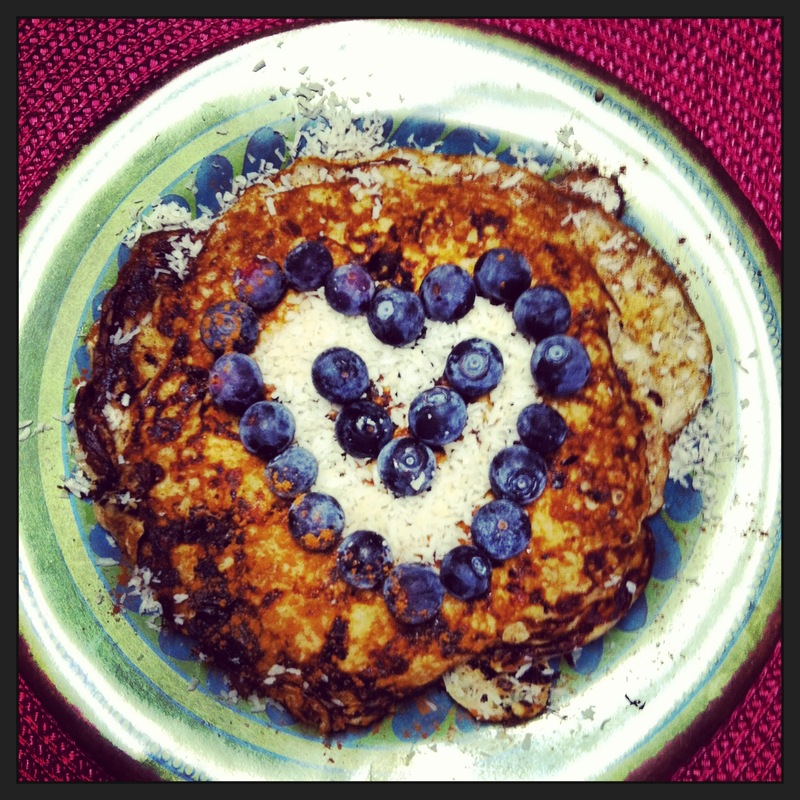 ALSO, if you haven’t already and you are on instagram, start following my account at @Eatrunandallinbetween !! And…if you have an iPhone, but have not installed the instagram app…DO IT, you won’t regret it! That way you’ll get a constant day-to-day update of all my yummy foods! : ) One last thing…keep a look out for my next post on the Valentines Day dish I’ll be cooking for my boyfriend tomorrow night. 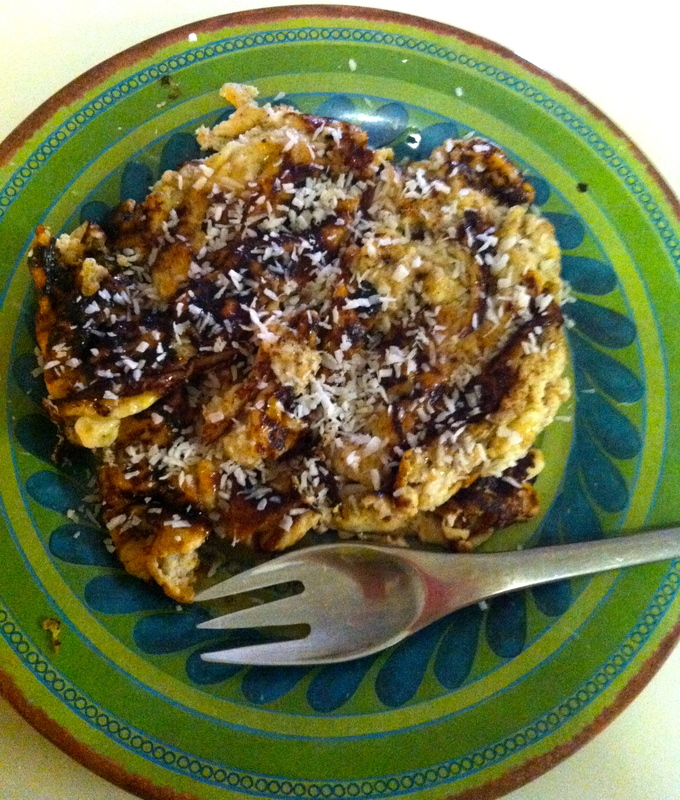 I would have posted the recipe here…but it’s a surprise! 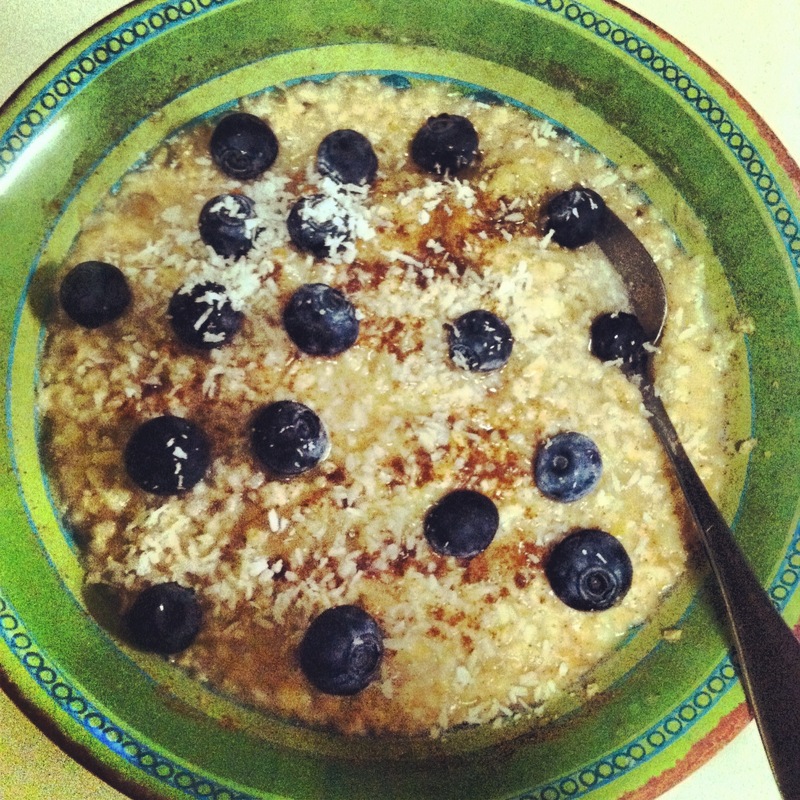 ~Sprinkle Unsweetened Shredded Coconut and Blueberries on top! Made my usual bowl of oatmeal below here…However this time I pulled out some frozen banana I had in the freezer and melted it in the microwave. 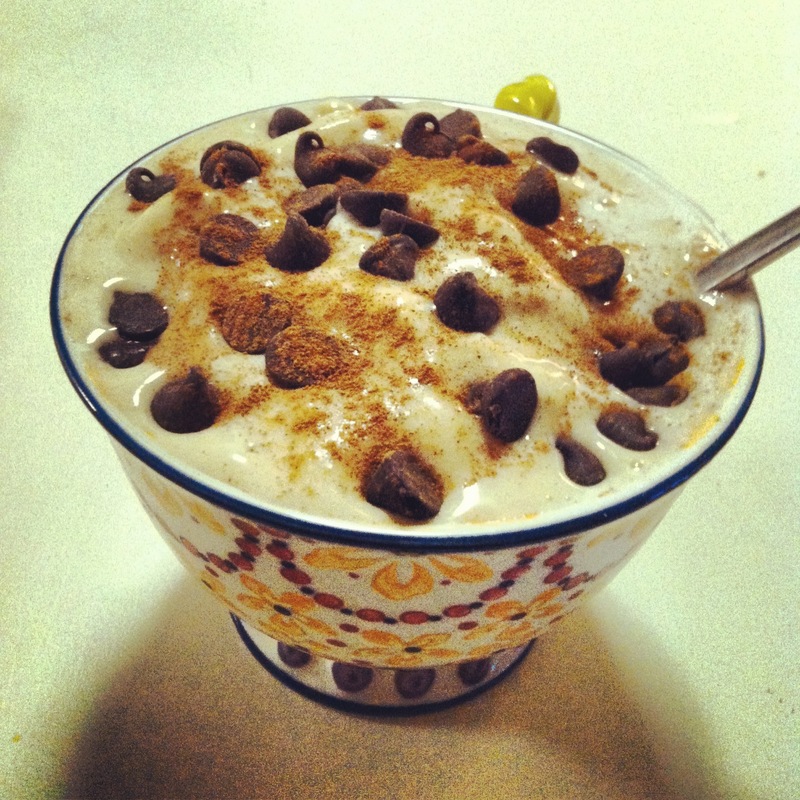 It ended up being a great thickener in the oatmeal and tasted awesome! 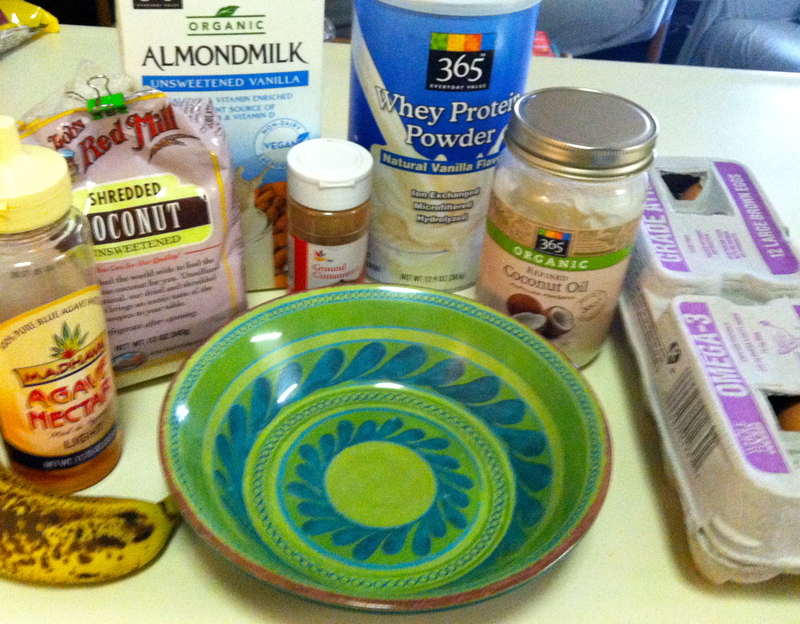 I also added some PB2 powder to this bowl as well. 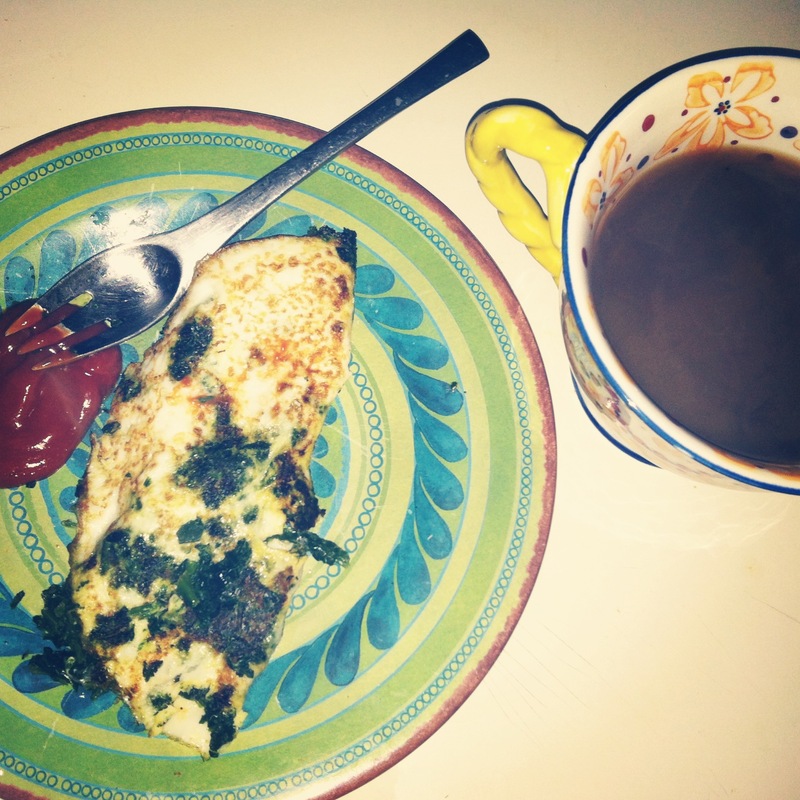 Just a simple plate of 3 eggs whites with some spinach in the middle! And of course a good old cup of coffee! Hits the spot. So in the image above, I made a summery tropical flavored smoothie. Made me feel like I was on the islands! 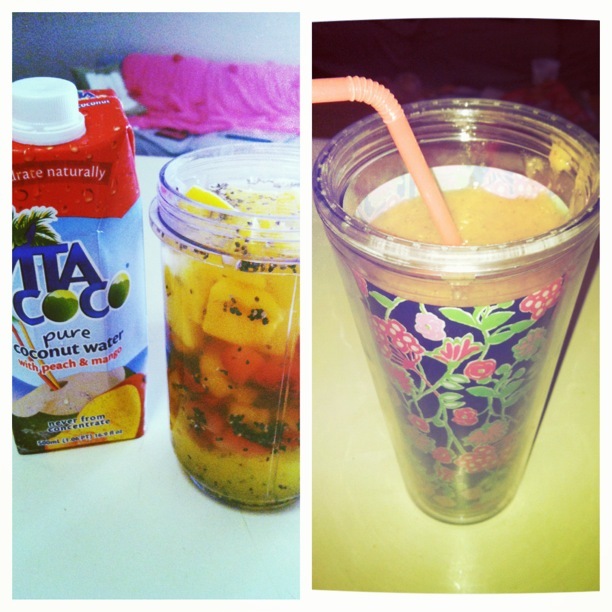 I added some frozen mango, strawberries, and peaches. Then I filled half the magic bullet with some Vita Coco (Peach and Mango flavored) Coconut Water, and the rest I filled with water. Finally, topped it off with some chia seeds! 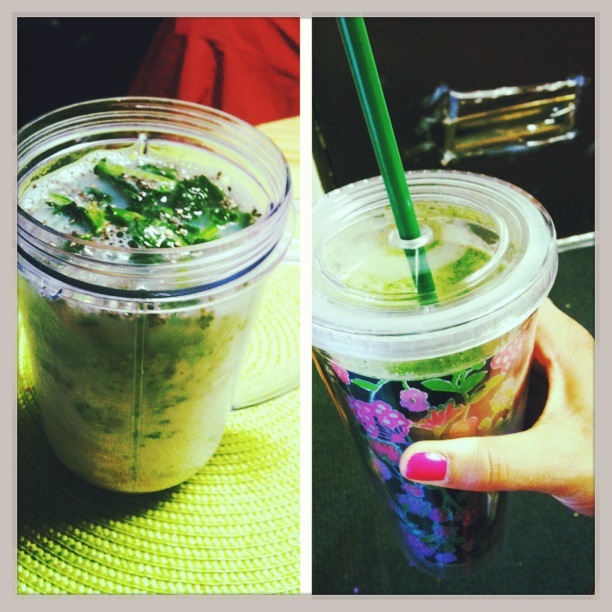 <–This here is my FAVORITE Lean Green Smoothie Machine. Haha Ok lame. BUT, it's soooo good, I can't stop! I added my usual: Unsweetened Vanilla Almond Milk, Frozen Spinach, 1 whole banana, 1 scoop of Vanilla Whey Protein, 1 tablespoon of Chia Seeds, 1 tablespoon of PB2 Powder and Blend it! 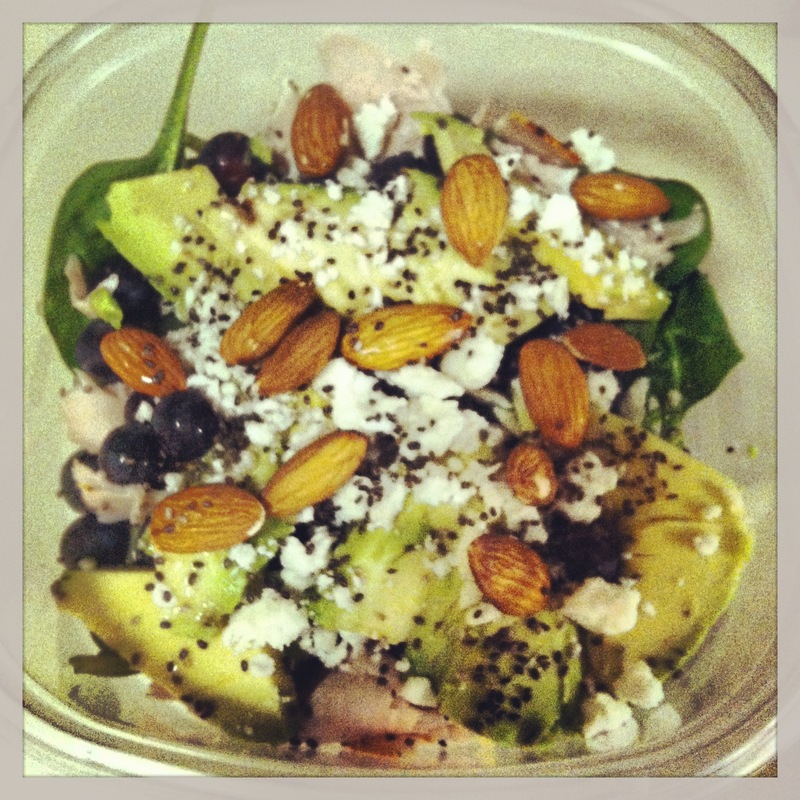 And for Lunch….I usually switch it up between the wrap or salad everyday with a snack or two on the side! 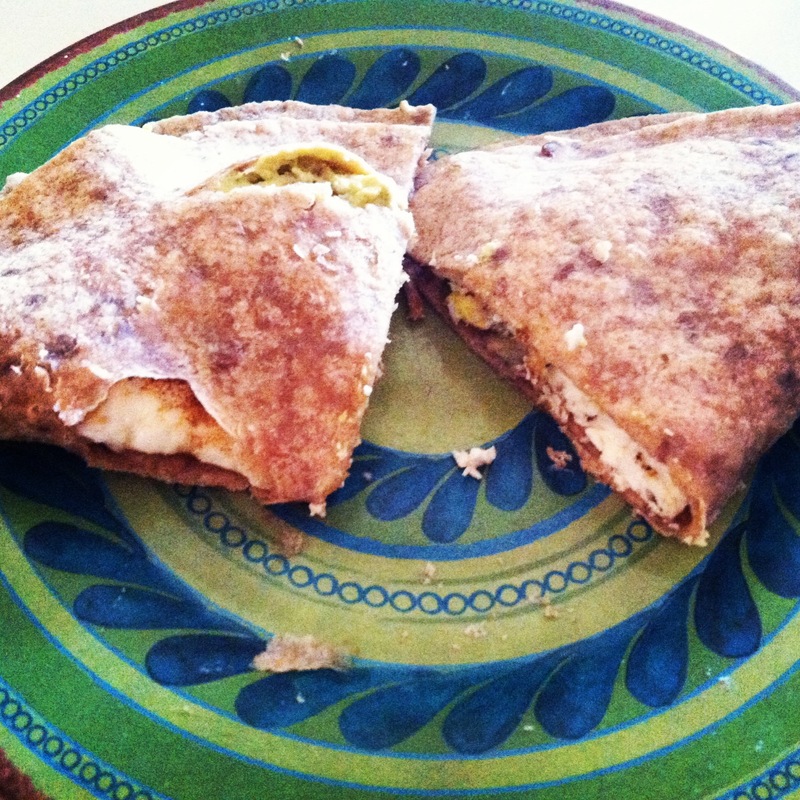 In the above image, I was out of Turkey Meat, So instead I made an Egg White omelette and threw it in the Whole Wheat, Flax Seed wrap from Trader Joe’s. I topped it off with some 3-layer hummus, avocado, feta cheese, and spinach! 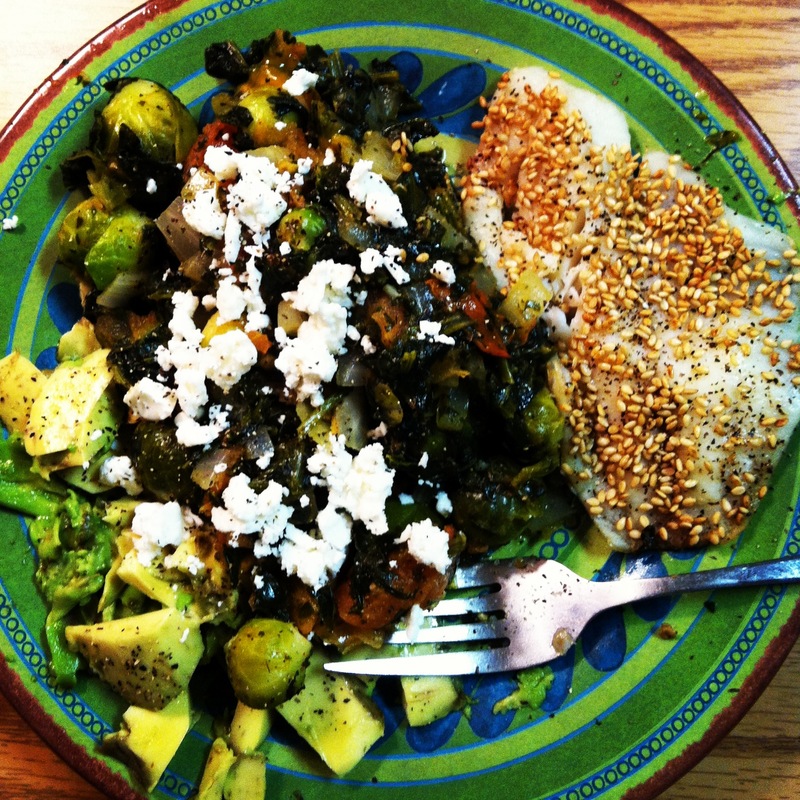 In the above image, I baked tilapia in Sesame Seeds to give it a nice crisp/crunchy flavor! 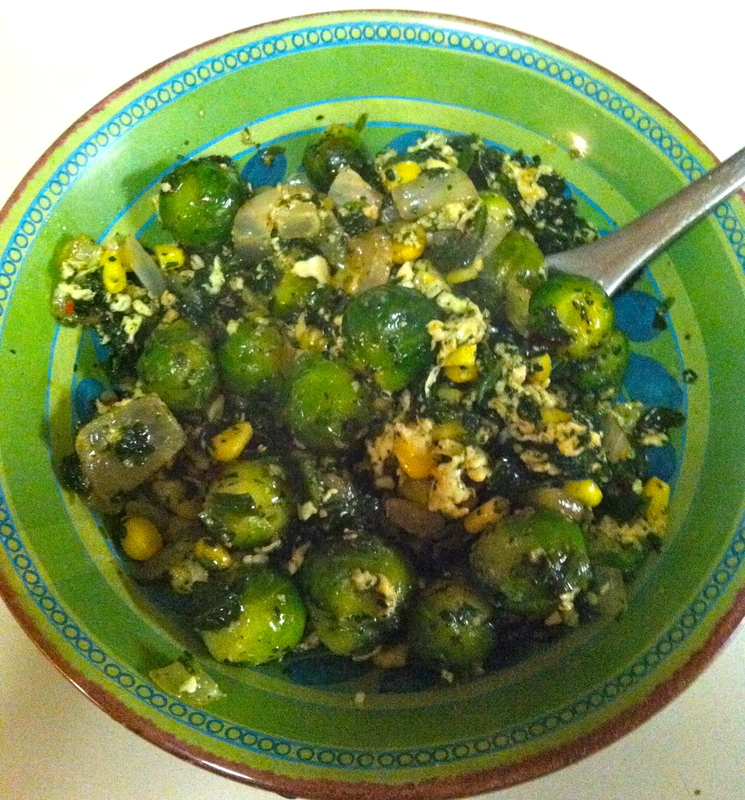 On the side, I sautéed spinach, brussel sprouts, onions, garlic, tomatoes in some E.V.O.O & Apple Cider Vinegar. Topped this all off with avocado, feta cheese, and some spices of course! Alright, so here I got home pretty late and was STARVING. So I needed something fast and appetizing to full-fill my needs! I quickly sautéed some brussel sprouts (if you couldn’t tell…these are my new FAVE veggies), spinach, onions, garlic, corn, and some egg whites (for PROTEIN)! Mixed a little bit of extra virgin olive oil and some lite soy sauce in it for flavaaa. 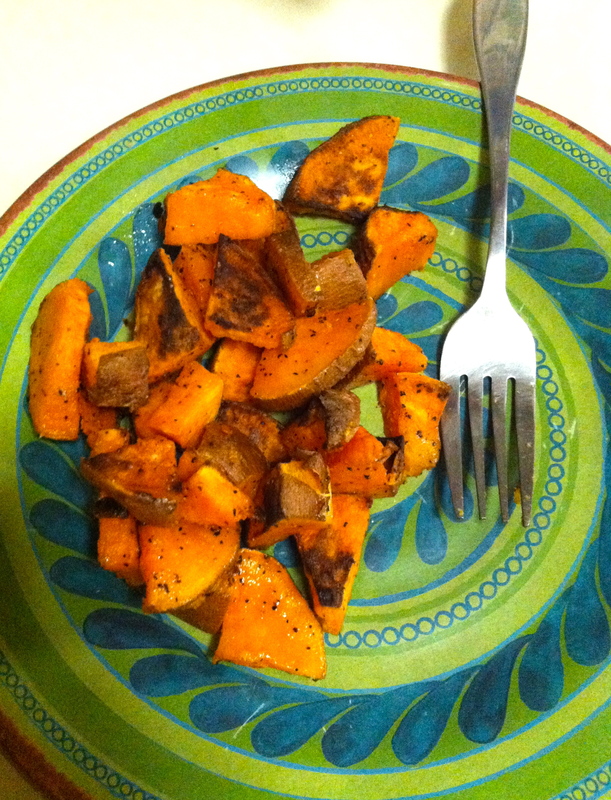 For the side dish, I made some yummy sweet potato fries! Okay. Fine you caught me. I did not make my OWN sushi…sadly ;( BUT, I was having a huge sushi craving all week long, so I had to plan for a sushi date night! The good news is that I still got my carbs, protein, AND, veggies in! They even had BROWN rice sushi! Can’t get much better than that. 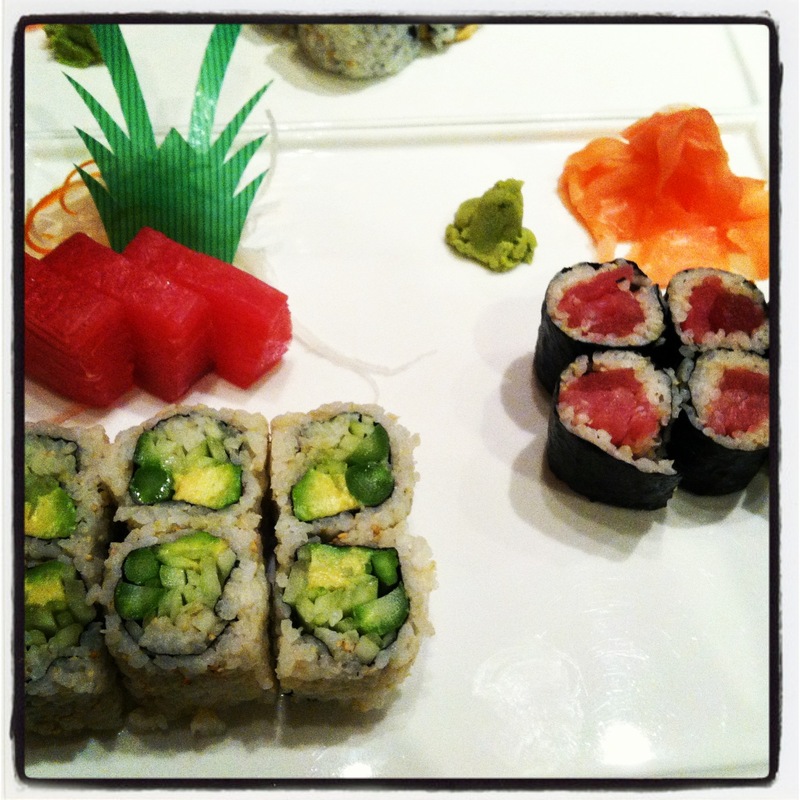 I ended up having a simple tuna roll and a Cucumber, Avocado, Asparagus roll, and then split some tuna sashimi! Topped it off with dark chocolate bites and cinnamon! Put this in the fridge over night, and indulged the next afternoon in it for snack! 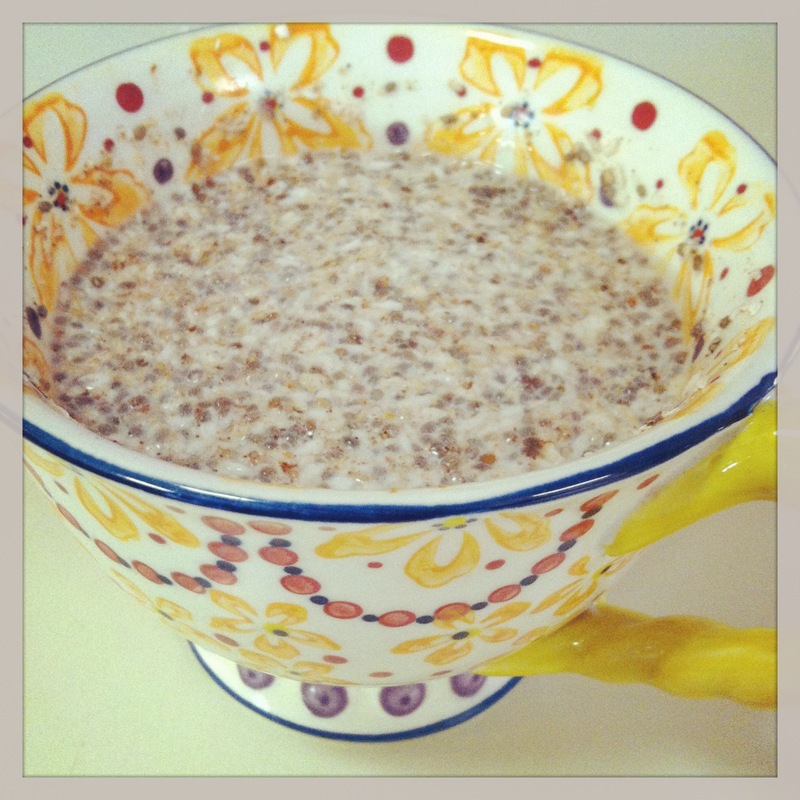 Check out my blog on chia seeds to learn about the great benefits! 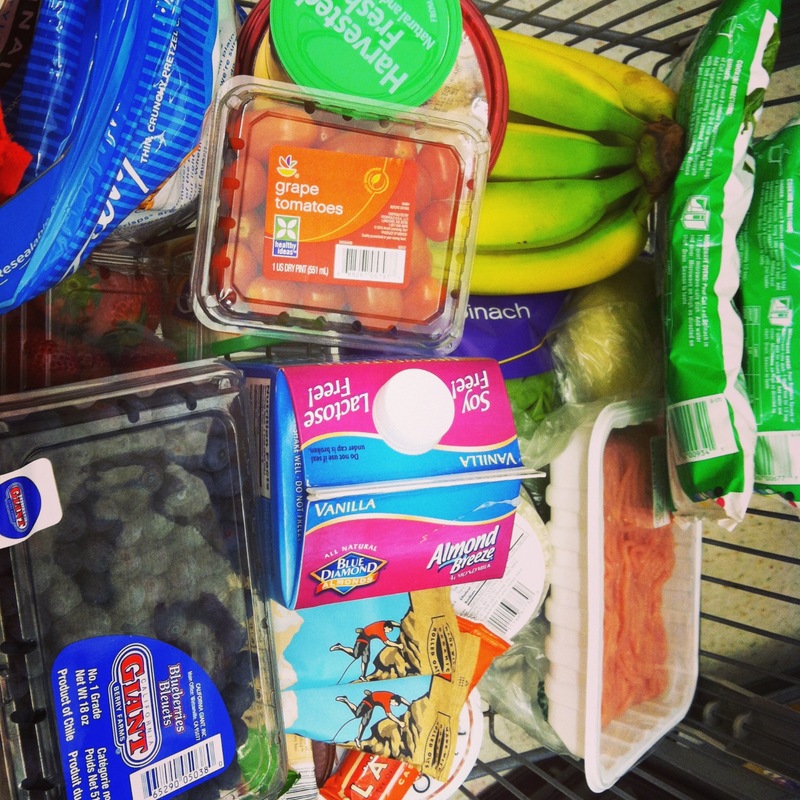 Here’s a peek into my cart from my recent food shopping trip. Lots of Color! Pretty much got my usual (refer to my food shopping list for an idea of what I shop for)! However, I did get a few new snacks that I am about to RAVE about. Alright so above I have regular pretzel crisps (last time I had the cinnamon flavor! ), with a side of some spinach & artichoke hummus, as well as my favorite and NEW Chobani Bite! 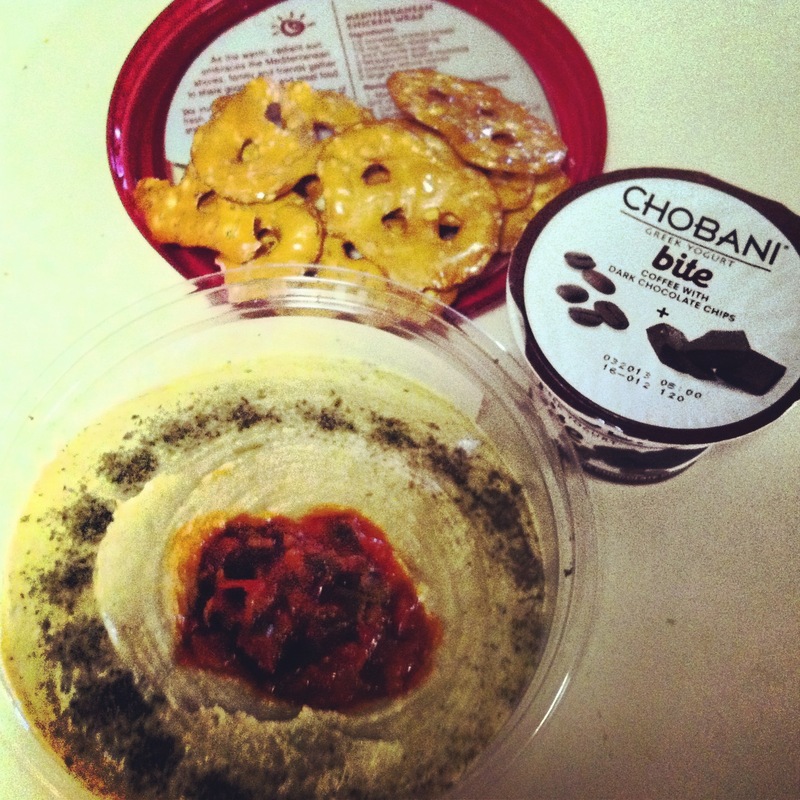 As you already know, I love my hummus and I LOVE this flavor by Sabra. As for the Chobani Bite, I got the coffee flavor with dark chocolate bits. For a little 100 calorie pack these things sure do hit the spot if you have constant sweet cravings like myself! They have other flavors to…try it out and let me know what you think! 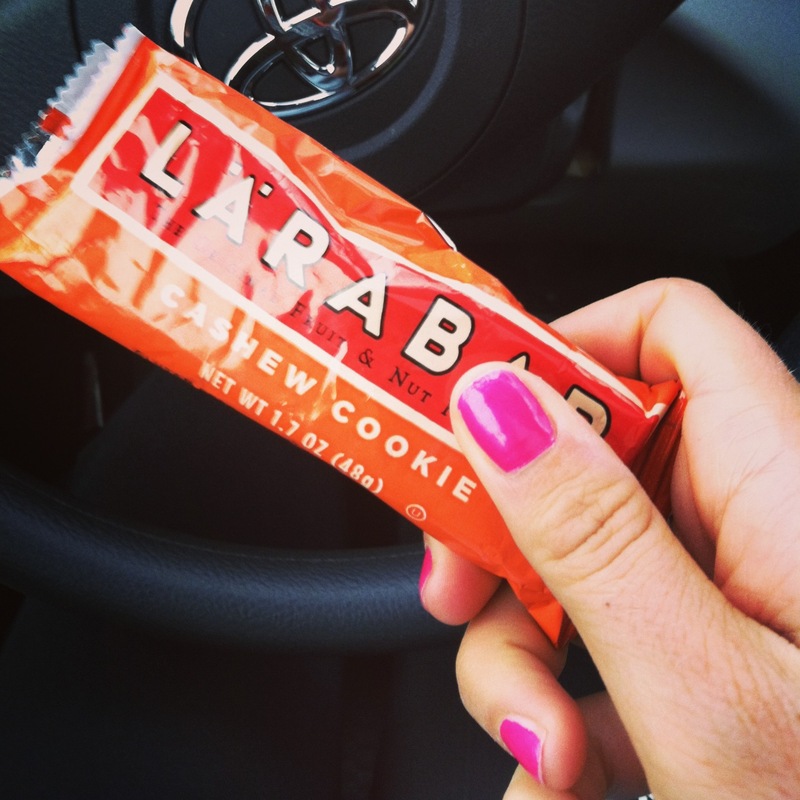 And, FINALLY…my new favorite bar…LARABAR! This one was the cashew cookie flavor but my god these things are GREAT and taste like a dessert! I also bought Chocolate chip cookie and Apple Pie flavor. These bars are super nutritious as they only use unsweetened fruits, nuts, spices, dairy, and soy free chocolate! They also provide a great source of fiber and protein. Lastly, if you look at their ‘cherry pie’ flavor, they only use THREE ingredients: almonds, dates, and unsweetened cherries…you certainly can’t beat that in a bar! Try em out!